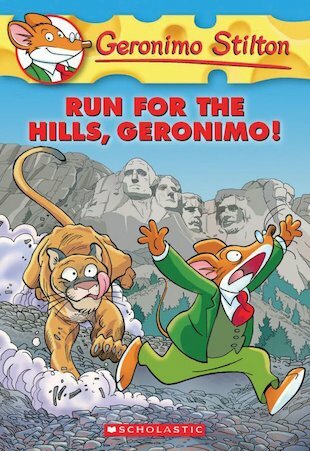 Rodent reporter Geronimo Stilton is having a lovely vacation. A relaxing trip all by himself, kicking back and embracing the wild. So how exactly does his peaceful trip turn into a crazy treasure hunt in the Black Hills of South Dakota? First there’s a scary hot-air balloon ride to Mount Rushmore. Then hungry wildcats start chasing his tail. Holey cheese! This scaredy-mouse needs to run like the wind! But will he ever find the hidden treasure?